You may recall from an earlier post that Francis Young – writing in the early 1880s – recommended a couple of the first ever quick-release vices. 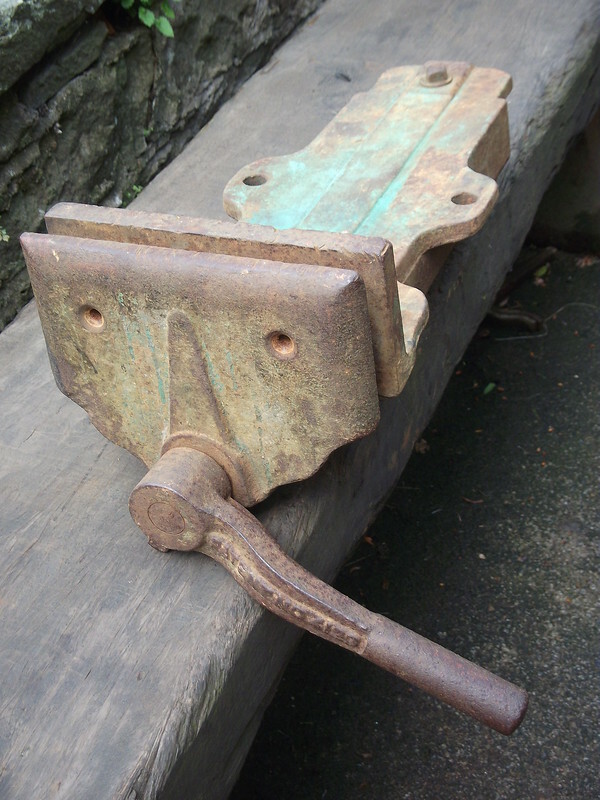 We covered the first – the Entwisle & Kenyon ‘lightening’ instantaneous grip – in the previous post, and the second is the ‘Standard’ instantaneous grip vice, made by Smith, Marks and company and sold by Thomas Syer, London. There is a clearer account in Every Man His Own Mechanic which explains that (in common with the Entwistle & Keynon vice) there is a toothed rack that is attached to the underside of the carriage (the rack is formed from a longitudinal strip cut from a female screw thread). The moveable part of the vice runs in and out between two curved flanges that also project from the underside of the carriage. The lever is attached to a bar on the far end of which is a short cylinder that has a male screw thread along part of its surface. Finally, there is a stop (shown in the patent drawing) that prevents the vice from being over-tightened. When the handle is held upright the thread of the male screw is held away from the rack and the front jaw can be pushed forward or backwards freely. When the jaw has been pushed closed to the workpiece and the handle is turned downward the male screw thread engages with the female thread on the rack and draws the front jaw tightly on to the work. I did not have much luck tracking down information about Smith, Marks and Co, but did come across a review of their ‘standard’ washing machine (‘Standard’ apparently being the name chosen to signify various items in their range of goods) and this had them working at the Britannia Works in Keighley. ..high praise indeed from a journal that clearly took its domestic appliances rather seriously. 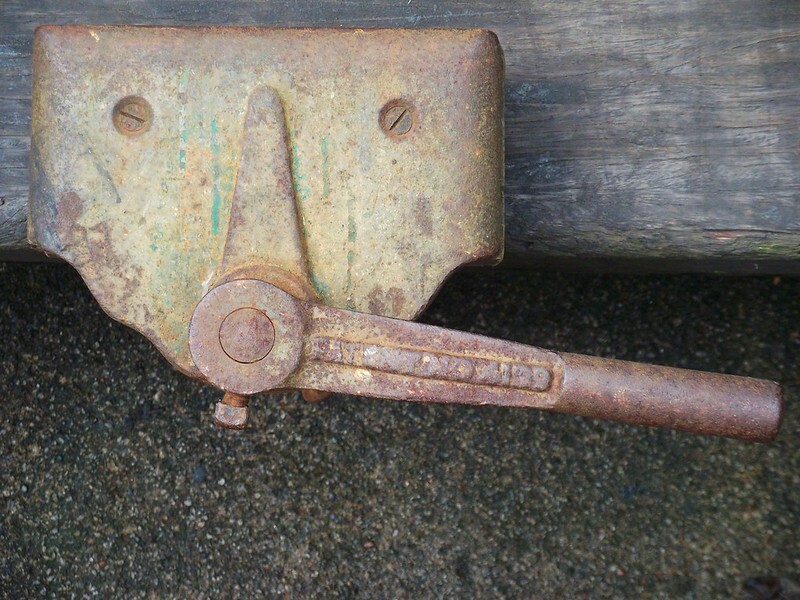 So it seems there were two vice makers, both living in a small northern town (Keighley) and both filing patents for ‘instantaneous’ grip vices inventions in the same year. Most odd, and sadly, an intriguing situation the details of which are lost in the mist of time.